New York CIty Flight - Page 159. "ENTERPRISE" New York City Flight - Page 159. 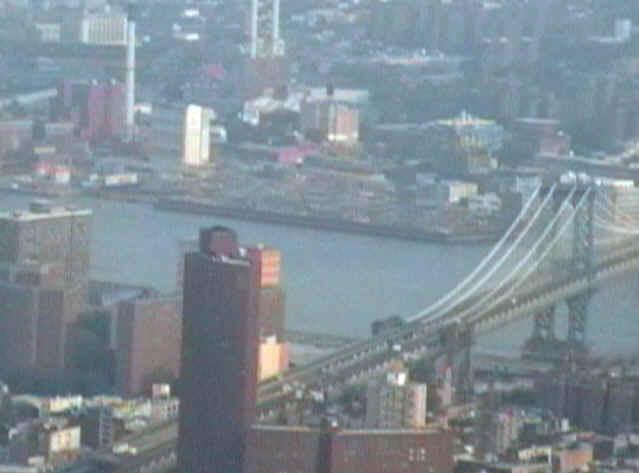 July 30, 2005: Dale was trying to use both the video camera and his digital still camera as I flew the airplane down the Hudson River past the Manhattan skyline. Central Park is easy to spot, but not many people outside of NYC know that the General Grant Memorial is in the park on the river near Riverside Drive. This shot is much better with less haze as we reached the south end of Central Park. I have moved over near the East side of the river to get a good look at the World Trade Center area as I flew south along the river. This shot is just a bit further south. And of course, the Empire State Building now dominates the skyline of New York City. 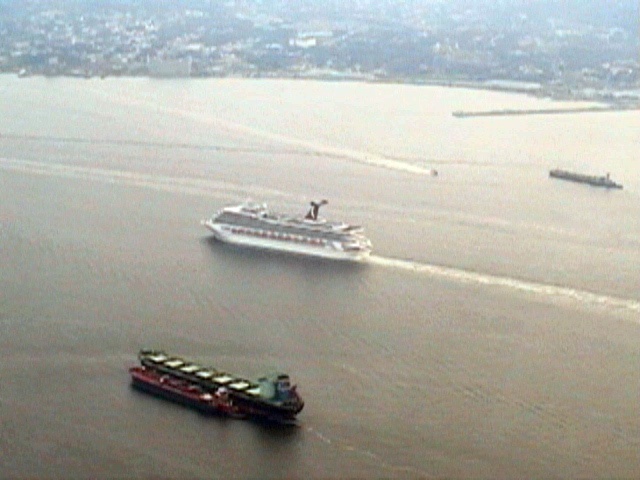 Since Dale was operating both the video camera and his digital still camera, sometimes he does not always get the camera level with the horizon. 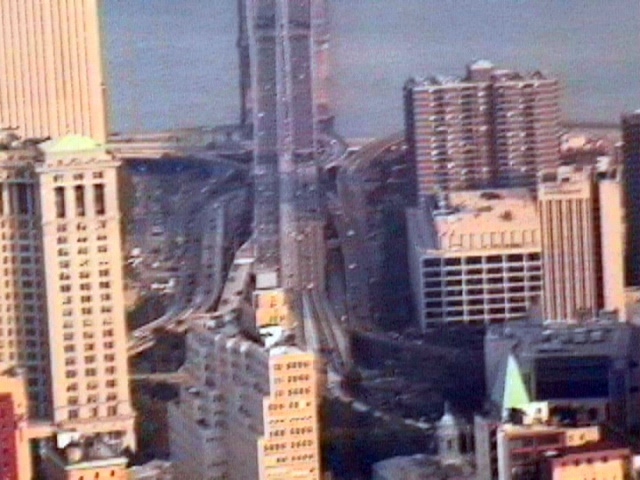 Here are some video frames captured from the digital video tape shot when we were passing by Manhattan. This one appears to be the approach to the Queensboro Bridge. This one should be the Brooklyn Bridge judging from the approach shot of all the streets coming together at this end. It also appears to have masonry towers holding it up. Unfortunately, the camera angle was too low to show the Gothic arches at the top of the bridge tower. And of course, Lady Liberty holds up her lamp to all who enter New York City. 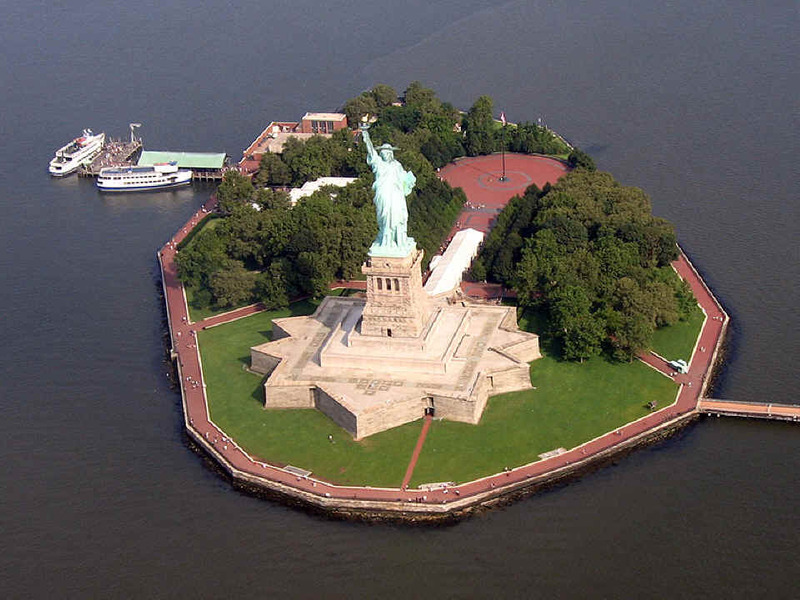 Update October 26, 2006: I found this wonderful photo online of Lady Liberty and had to post it here. This one was taken by pilot David W. Ziegler and was featured in AVwebFlash Complete Issue: Volume 12, Number 43b. I hope to add my own version of this photo some day upon my next return trip to New York City in my RV-9A. 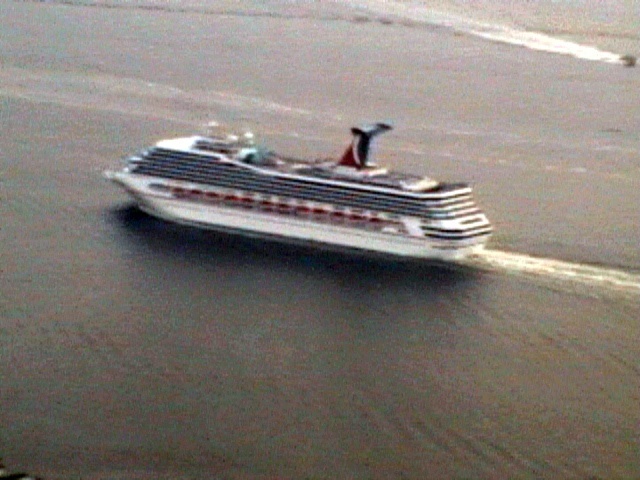 Next is another video frame of a Carnival Cruise Lines ship heading out to sea down the Hudson River. Dale zoomed the lens in to get this shot. Here is a wide shot showing the bigger picture. 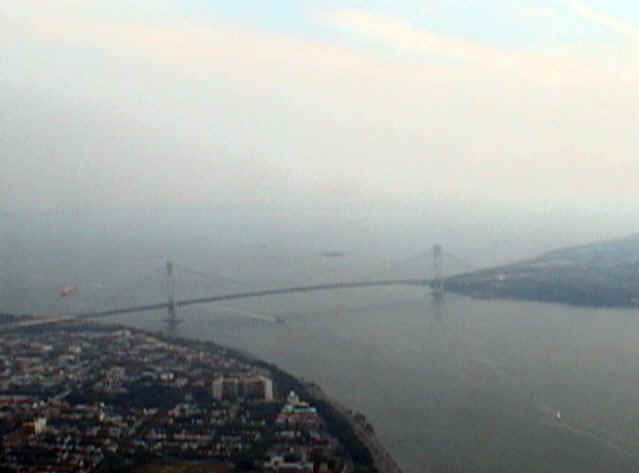 The Verazano Narrows Bridge stands at the mouth of the river as ships head out to sea or into the ports of New York and New Jersey along the Hudson River. We returned to the Sky Manor Airport (N40), refueled, cleaned the airplane, and tied it down again for tonight. We saw an RV-8 take off as we were ready to go home for the evening. As we drove down the exit road I noticed an EAA chapter hangar door open with some folks having a cookout. I stopped and called out to the group and a lady came over. She was the EAA chapter 643 President, Karen Candiani. If we had stayed for burgers and soft drinks, I would not have been able to make this meager posting tonight. I will have more for you on new pages after I get home and get back to "normal" again. I finally installed the video processing software from the JVC digital video recorder that I bought in June 2005. I collected and swapped JPEG files with Dale Flowers who was taking pix with both of our digital cameras and the JVC DVC. I will post this picture tonight before heading to the showers. This was taken earlier today (July 30) at the Sky Manor Airport. CLICK HERE for Homeward Bound - PAGE 160. CLICK HERE for MAIN MENU.